People escaping court-sanctioned community service to go in jail | Russian Legal Information Agency (RAPSI). 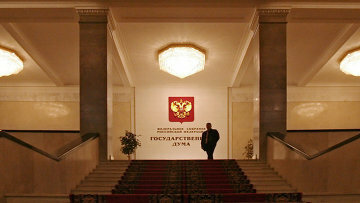 MOSCOW, April 12 (RAPSI) – The State Duma has passed in the third and final reading a bill on prison terms for people escaping court-sanctioned mandatory community service. According to the bill, time not spent on the works may be changed to real prison term not only if a convict avoids them but also if he or she is recognized as repeated violator of the punishment procedure. Authors of the bill also propose to grant courts a right to detain convicts that escape justice to avoid public works until the final ruling is made in the case.